Please keep in mind that ratings and recommendations are always somewhat subjective; that each case, each client is unique; and that your experience with any lawyer or law firm may not be the same as someone else’s. No attorney or law firm can or should guarantee any particular outcome, as doing so is unethical and defies common sense. Any client or potential client should always perform an independent assessment of an attorney or law firm. Mr. McGrath has been rated by Martindale-Hubbell as well. That organization rated Mr. McGrath’s ethics as “Very High” and his legal ability as “High to Very High”. 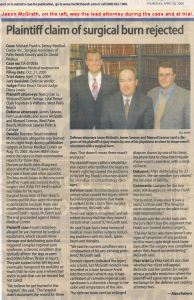 Mr. McGrath is licensed in North Carolina, his native state of Florida, in Tennessee, and in Federal Court. Mr. McGrath provides services in numerous areas of the law. This includes, but is not limited to: business law, business formation, business litigation, trademarks, and contracts; mortgage matters such as mortgage loan modification and relief, mortgage foreclosures, and mortgage disputes; debt, credit, collections and FDCPA; employment law; wills; and general practice. Mr. McGrath has been practicing law continuously since 1996. He spent five (5) years as an “assistant DA”, and was consistently near the top with regard to the number of trials completed and the percentage of trials won. After being recruited into a highly rated private firm, Mr. McGrath was promoted and named managing partner of one of the firm’s offices. In 2009, he started his own firm. Mr. McGrath has tried over 100 cases to completion, has prepared over 10,000 legal documents for clients, has participated in thousands of depositions (including hundreds of expert depositions), and has represented the public, private individuals, and businesses. Mr. McGrath has a Doctorate of Jurisprudence (law degree) from Florida State University, class of 1996. From 1989 through 1993, he attended Florida State as an undergrad, earning a bachelor’s in Political Science, a bachelor’s in International Affairs, and a minor in Spanish. In law school, Mr. McGrath was part of a two person Moot Court team which won a National Moot Court Competition in Beverly Hills, California. During his undergraduate years, he was a member and officer in the Sigma Chi fraternity. Mr. McGrath was admitted into Florida State University’s Honors Program and attended Florida State on various scholarships, including a National Merit Scholarship. Mr. McGrath is on the Board of Directors for the Mecklenburg County Bar, an agency of the State which has approximately 5,500 members. He is also a member of the Continuing Legal Education task force and the Member Inclusion and Engagement sub-committee. He is a past Chair of the Mecklenburg County Bar’s Social and Networking Committee and past Chair and Vice-Chair of the Mecklenburg County Bar’s Sole Practitioner and Small Firm Section. In 2013, Mr. McGrath served on the Mecklenburg County Bar’s nominating committee and has served on various other panels. Mr. McGrath received Outstanding Trial Performance medals from a national corporate client multiple times over the course of multiple years, having won verdicts in multimillion dollar cases. 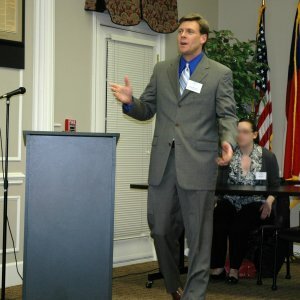 An avid reader and writer, Mr. McGrath has had a number of writings published by professional publications, including the American Bar Association, North Carolina Bar Association Real Property Section, the North Carolina Bar Journal, The Defense Speaks (a civil litigation defense manual), the Trial Advocate Quarterly (Florida), and the Mecklenburg County Bar Newsletter, among others. He also regularly produces blog articles and videos. Lawyers’ use of technology to better and more efficiently serve clients. Mr. McGrath was voted Chairperson of the City of Charlotte’s Civil Service Board in 2012, after being voted onto that Board in 2011. His time on the Board ended in late 2017 due to term limits. The Civil Service Board has jurisdiction over certain employment matters such as hirings, firings, promotions, demotions, etc. for the Charlotte – Mecklenburg Police Department and Charlotte Fire Department and has certain quasi-judicial and administrative powers. For example, Mr. McGrath occasionally presideds over quasi-judicial hearings (typically lasting 2 – 3 days) during which he would serve in a role similar to both judge and jury foreperson. Starting in 1996, Mr. McGrath has been invited to present to schools, community groups, government agencies, medical professionals and to other lawyers on various topics. 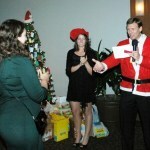 Jason McGrath helps host the Mecklenburg County Bar’s 2012 Holiday Party. 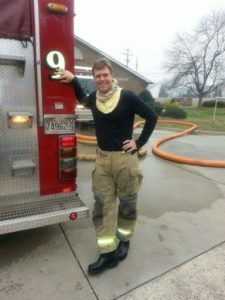 Jason McGrath, about to enter a burning building with Charlotte Fire Department as part of a “controlled burn” designed for training purposes.